With the ever increasing sale of smartphones and tablets, it is very crucial for your website to be responsive for targeting the large part of the demography. People nowadays look for information on their smartphones, rather than their desktops. If they find a website slowly loading they will jump to another site. If you have a look at the data of mobile sales as compared to the desktop ones, you will be sure why responsive websites are the need of the hour. Responsive web designs not only makes it easier for the user to read the contents, but also makes it easier to navigate.Also, another positive point about responsive web design is that it enhances SEO. Here, we have jotted down the points as to why responsive web designs are imperative for your company’s website in 2017. What will you do if you need to search for a particular product online? Maybe you do not have access to a desktop at that time and you browse through your smartphone. Later on you may feel to have a look at the product on a bigger screen, hence you access the site from a laptop. Will you feel good if the user experience is not good? Of course not,right! Similarly, a user wants to have the same experience with a website both on desktop and smartphone. A responsive web design ensures the user’s consistent experience across all the devices. SEO is one of the most crucial factor for thriving in the competitive business world. Therefore, the main SEO goal for your business should be to rank good on both the mobile search as well as on desktop version. 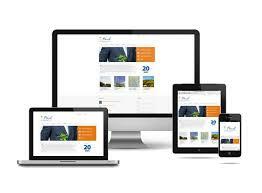 A responsive web design will help you to manage and optimize the required version for each page. Great isn’t it? According to one of the latest updates from Google, preference will be given to responsive websites. This means if you opt for responsive web design, the chances for your website climbing the ranking ladder will be quite higher as compared to those who have two websites for desktops and mobiles. Responsive websites have the same HTML and URL, which makes it easier to index and optimize. For creating a good responsive web design, you need the expert professional touch. There are many reputation online management companies, that will take care of all your web design, SEO and PPC needs. So, what are you waiting for? Hire me today! Why Home Users Should Be Buying Office 365 From A Microsoft CSP? Tags: Google’s new preference, web design is that it enhances SEO.